Hello guys, today we have come up with something very interesting and new for iPhone users and that is top and best 20+ iPhone Secret Codes and Hacks in 2017. Plenty of people use iPhone on daily basis around the world but we just using it normally as others do but there are so much secret iPhone codes available in the market which will enhance your usability of iPhone 7, 6, 5, 5S, 5C & 4. 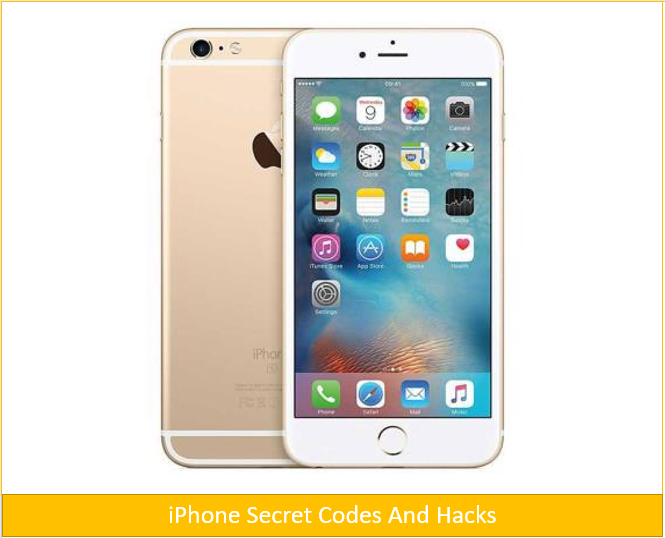 With iPhone Secret Codes and Hacks you can use untapped new features and information on your iPhone. As every small geeky person knows that iPhone is one of the best smartphones in the smartphone industry and this is why it is damn popular among all smartphone users. You can access below iPhone secret codes by open your iPhone dialer and enter these codes to know some best-hidden secrets of iPhone. These codes will work on all iPhone models whether you are using latest iPhone 7, iPhone 6, iPhone 5, and iPhone 4. I hope you will also like the article I have written last year on iPhone’s Best secret codes of 2016. This code will tell you on which IMEI number your iPhone runnings. It is working as your iPhone hardware identifier. This code will open up all iPhone settings, Cell Information, and latest network your phone running on. Basically, it opens field mode of your iPhone. With this code, you can check the number to call when your iPhone is in busy mode. It will show you how much minutes you have left in your postpaid plan. You can use this code to check your postpaid bill balance. iPhone prepaid users can check their prepaid balance by this code. You can your call control bard by this code on your iPhone. You can check whether your line presentation is enabled or disabled with the help of this secret code. By this code, you can check your fax, SMS, Voice, Knowledge, Sync, Async, Paid Access & Packet Access call forwarding is enabled or not. It will explain you about the use of information info. You can verify your number for forwarding calls if there is no service available. This code will activate your EFR mode (Enhanced Full Rate) and improves your iPhone. Barring code, it blocks outgoing calls abroad to block the lock network operator. It allows you to hide your numbers. For outgoing call anonymity of your current call. It disabled all call forwarding. All the above top best and latest updated best iPhone secret codes 2017 will work on your iPhones to show you ultimate features of your iPhone devices. If you like this post then feel free to share your questions with us in the comments section below.